FLEXIBLE RAISED BEDS THAT ARE PERFECT FOR YARD VEGETABLE GROWING. 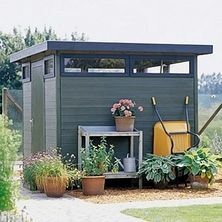 For the small garden these galvanised steel module beds are great. They are supplied in three design modules in 40, 60 and 80cm sections. Just with a click -no tool is needed- the modules can be combined horizontally or vertically in many forms - simply and elegantly - to fit your purpose and ideas and the space available. Obelisks in two heights that fit the 40cm wide modules are included in the range as well. Looking to grow something different - try JERUSALEM ARTICHOKES. The knobbly tubers are grown as an alternative to potatoes - fine for slimmers but not to everyones taste. They grow up to 3m tall, with bright yellow 'sunflower type' flowers - very dramatic. Grow in blocks, against a wall or in large containers. They can create an architectural feature. In late Autumn the stems are cut down leaving the tubers in the ground to be harvested as required - remebering to save a few for replanting for the next crop. Boiled, fried, baked, roasted or stewed - they can provide a novel alternative to potatoes. Try buying the variety FUSEAU, a white skinned, smoother variety that is a more compact plant growing to only 1.8m. Tubers should be available now in good garden centres or on line. 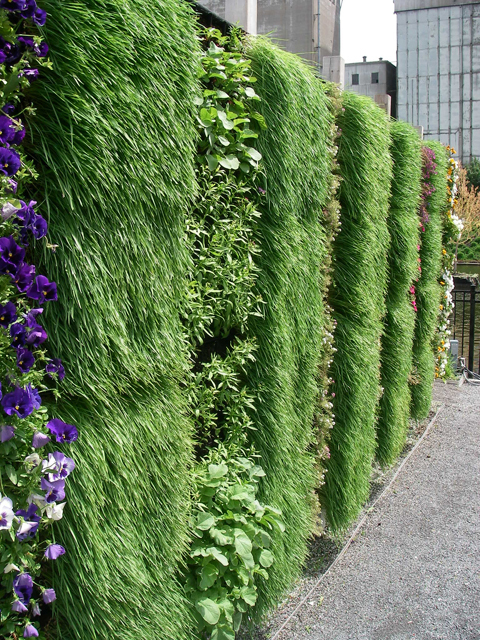 A couple of interesting sites looking at the construction of LIVING WALLS. is just what we lack in micro gardens. The floor space is valuable and limited and the design generally makes human activity, entertaining, sunbathing, etc, a priority. The one area that tends to be not used to the full are the WALLS. We may paint them, attach art work or grow climbing paints up the but are these the best uses or the best gain from the space. For the last few years LIVING WALLS have been created, mainly on public buildings, where plants are grown on the sides of building to create a living cliff of plants. The plants are grown on frames with growing media sandwiched between a water retention matting. They are irrigated from the top with the water flowing by gravity down the cliff face. In the USA we now are finding more of these living walls being manufactured for domestic use, from small square metre panels that hang on walls to complete house sides. 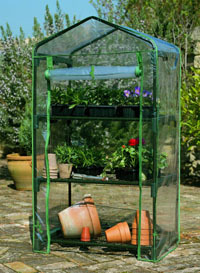 Some are even designed with a range of houseplants to hang inside in living rooms or conservatories. The best use in the yard though is as a VERTICAL KITCHEN GARDEN. Even the smallest living wall could provide a welcome healthy addition to your diet. Planted with a range of quick growing salads and herbs, the wall would be both productive a decorative. Salad such as lettuce, spring onion and radishes are perfect especially the cut and come again varieties of lettuce that keep going throughout the season. Herb plants will provide an evergreen cover throughout the year and always be available for the keen cook. Ideal herbs include basil, mint, thyme, parsley, chives, rosemary and taragon. The salad and herb plants should be grown from seed or purchased as small plants or plugs from the garden centre, and planted directly throgh the matting into the growing medium. The growing medium must be well moistened before planting or water will not permeate easily once watering commences from the top of the wall. Further to the post concerning curly parsley growing through the winter under protection, YARDZ has been searching for a stylish well designed mini wall greenhouse but to no avail. 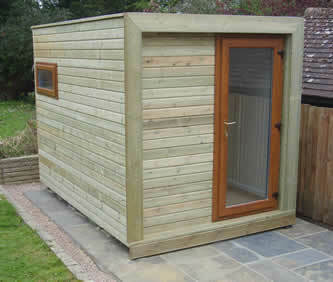 There are now plenty of well designed contemporary garden rooms/sheds/offices on the market at a wide range of prices which are easily available at the lower price range at your local garden centre. 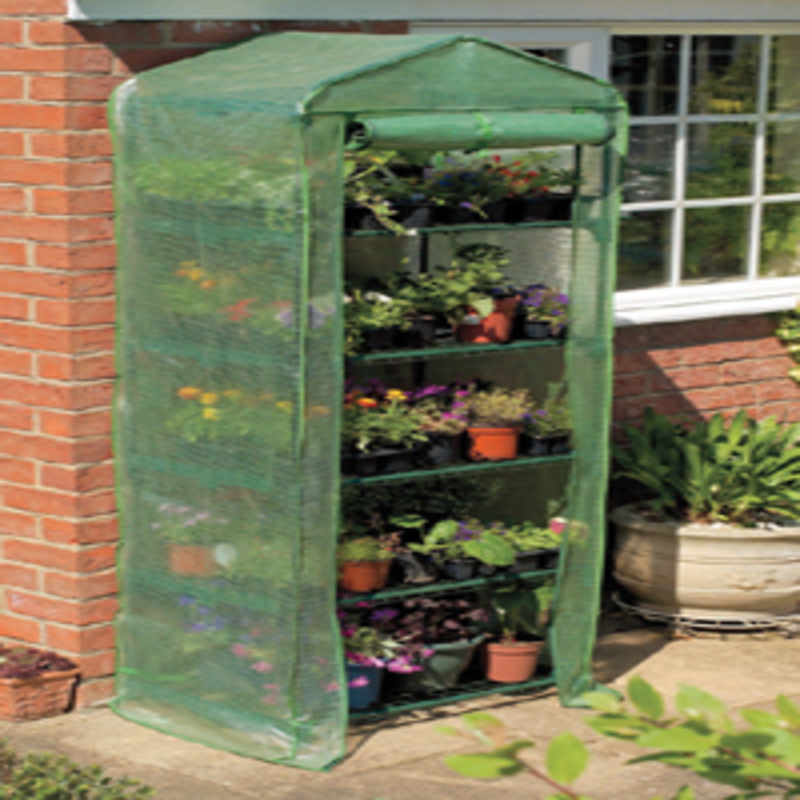 Yet the wall greenhouse, so useful in a micro sized garden, is only available as a standard aluminium and glass structure in a traditional design, as a metal tubular frame covered with polythene or as a traditional wood frame with glass or acrylic glazing. None of these are attractive or of outstanding design, the lower priced polythene covered ones do not even stand up to the British climate very well. 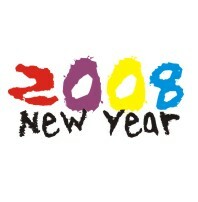 There is without doubt a need in the market place for something stylish, practical and affordable. YARDZ will keep searching. 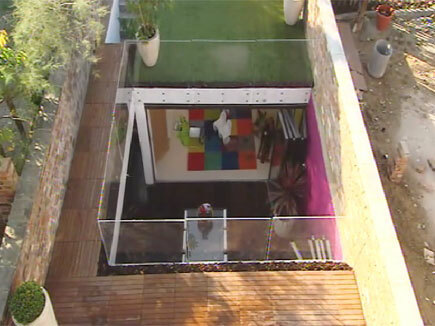 last weeks Grand Designs on Channel 4, www.channel4.com, showed an interesting development in the back garden of a regency house in Cheltenham. The build was exceptional, the technology interesting and the interior design stunning yet the small exterior space was boring with little real design imput. How often on design and makeover programmes on television, the developers have time and money lavished on the buildings yet the outside spaces, no matter how small, are always the poor relation. With this type of outside space becoming more and more limited, it is important to see on such programmes, the same amount of energy put into its design. As with small buildings, the design of these spaces is often harder to get right than the design of the rolling meadows of suburban properties. There is good microgarden design around and good garden designers who understand its needs, so why can't we see it promoted on main stream TV. The soggy mild wet winter has meant that I have had moss curled parsley growing throughout the winter in my wall greenhouse. 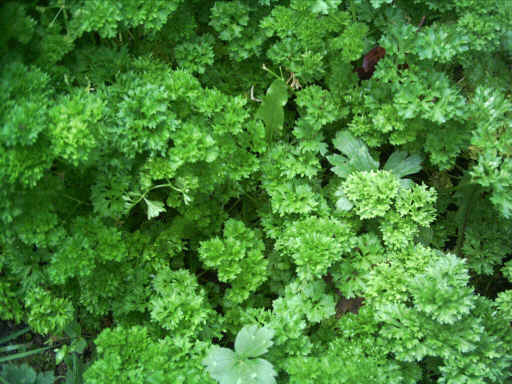 Perfect for garnishing, soups, stews and salads, curly parsley is a must for keen cooks. I grow my parsley in a 600mm long windowsill trough which under normal usage provides a regular supply yeis small enough to move arround and fit onto the greenhouse shelves. 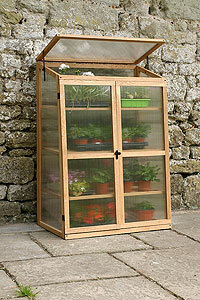 If you havn't got any, sow now indoors or outside in april. These great new organic 'grow bags' allow the 'non gardener' to grow and enjoy vegetables in even the smallest garden or on a patio or balcony. Each bag has been specially formulated with the correct compost and nutrients for each type of vegetable and will last the whole growing season. Its just a case of sowing or planting, watering and harvesting! There are a choice of ten types of crop bag - salad, tomato, garlic,leek and sweetcorn, strawberry, peper and chilli, marrow and cucumber, carrot and root crops, peas and beans and potato. YARDZ vision for 2008 is to change the barren wastes of Limehouse balconies, urban roofgardens and new housing estate patios with cutting edge design into an outside living space that reflects the owners lifestyle.